Hey guys and welcome back to my blog! 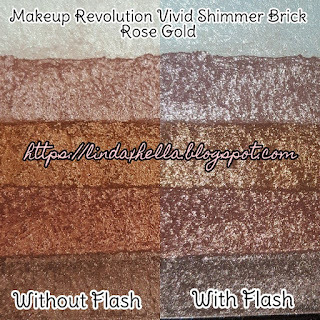 Today I’m doing a product review on the Makeup Revolution Vivid Shimmer Brick! 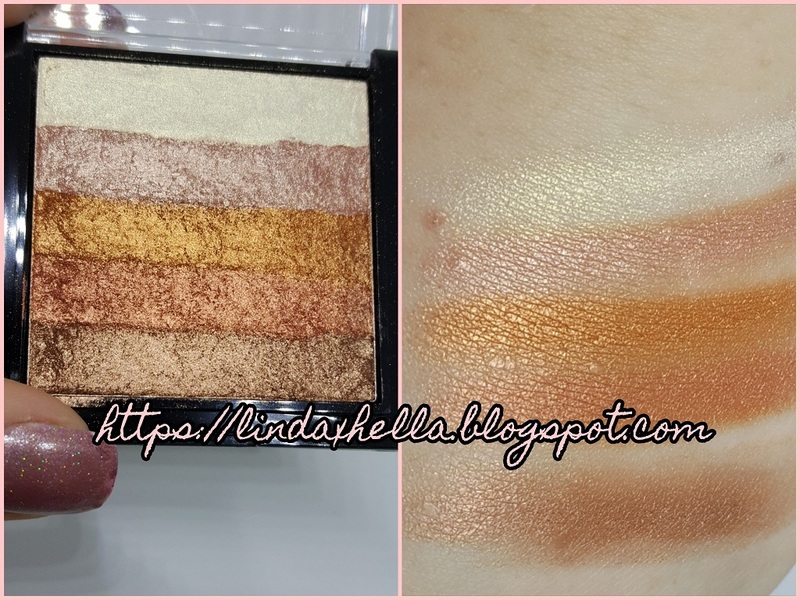 Now, initially I ordered the shades “Bronze Kiss” and “Rose Gold”, they sent me two of the same one. What got me, is the name on the back was even wrong. They were the exact same colors with different name stickers on them. So I emailed Ulta and got everything figured out and the shipped me out the Bronze Kiss one I didn’t receive. When it came, I was so excited so I could finally do this review! But to much disappointment, they sent me a THIRD Rose Gold. I ended up just saying whatever and not bothering to contact them again. I gave one to my ten year old daughter Trinity, the second one I’ll either keep or give to my older step daughter Kate. Now let’s get on to the review! My first impressions of the packaging was that although it isn’t super fancy, it’s made of thick strong plastic. The lines are very clean, simple and the lid is clear. I like when I pick up a small compact and I can see what’s inside. There’s pretty rose gold writing on top with the brand name. The lid has a piece of plastic to seal it shut, which I appreciate! Since I ordered it online from Ulta, the only other packaging was some bubble wrap. 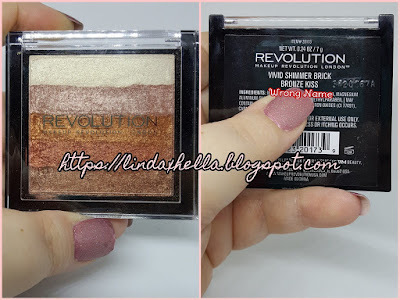 I’m not sure if Makeup Revolution is sold in stores other than Ulta. My first impressions of the product, was wow. It’s so beautiful in the pan, I was so excited to play in this baby! There are five different strips of colors, all laid together in one pan. 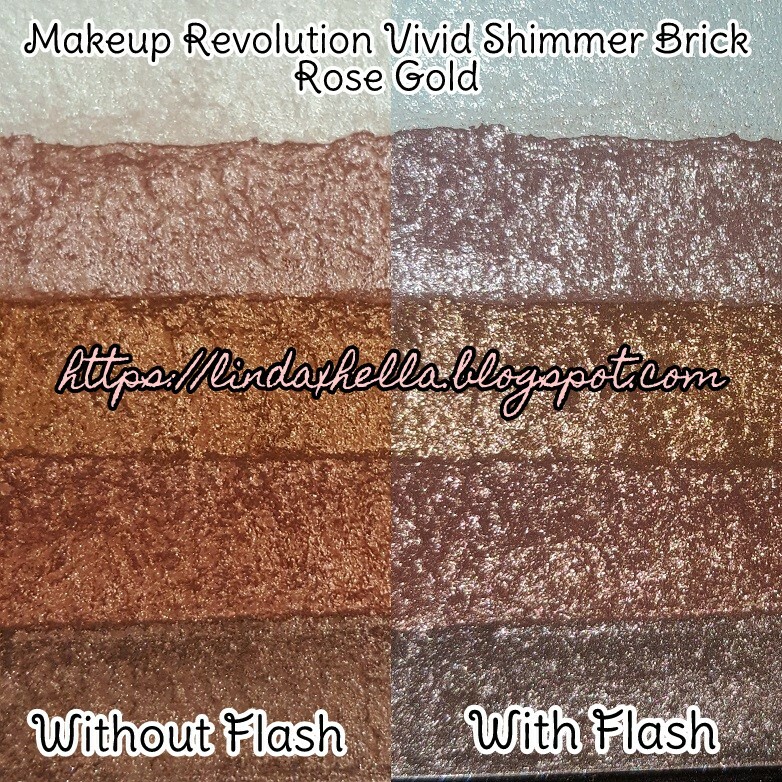 They are all soft and pigmented shades and look beautiful on the lid dry, and even more blinding wet! 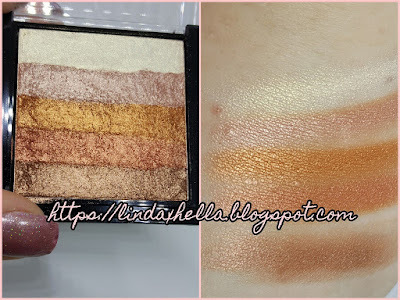 I have not tried using this as a highlight since I got the darker one and I am so fair! I want to buy all of them! There are four different ones, there are two that look similar on the website. I would probably still buy them anyways! Things always look different in person than they do on websites. Much like the Rose Gold one I got, the colors aren't as vibrant in person. Thank you for checking out this review! I hope you enjoyed this post and if you have tried these, let me know your thoughts down below!